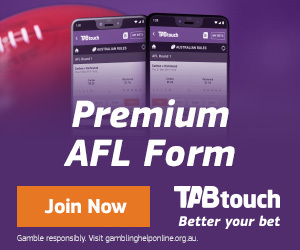 Some clubs are coming into the new season with vastly new-looking outfits with Bill Monaghan now coaching East Fremantle while Geoff Valentine is in charge at West Perth, Jeremy Barnard is coaching East Perth and Beau Wardman has taken over the reigning premiers Subiaco. There's some exciting talent either entering or returning to the WAFL too highlighted by Declan Mountford at Claremont, Rohan Kerr at East Perth, Jackson Merrett at Peel Thunder, Kade Stewart at South Fremantle, Harry Marsh at Subiaco and Brady Grey with the West Coast Eagles. 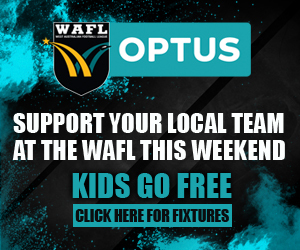 It looks set to be cracking WAFL season with each team playing 18 games of which they will face one another home and away once, aside from the Eagles who will play at the venue of their opposition team in all 18 appearances. Despite the loss through retirement of Beau Maister and Keifer Yu, stability of the playing group has been the order of the day in the off-season with Claremont as well which Harris feels could be the biggest factor in whatever success they achieve in 2019. With experienced players like Jye Bolton, Kane Mitchell, Tom Curren, Haydn Busher, Ian Richardson, Anton Hamp and Tom Lee remaining along with an emerging group led by Jared Hardisty, Ryan Lim, Bailey Rogers, Jack Beeck, Lachlan Martinis, Oliver Eastland, Declan Hardisty and Kaiden Gilbert, it's an impressive squad. Monaghan left West Perth as a premiership coach in 2013 and having taken the Falcons to Grand Finals in 2015 and 2017 along the way becoming the club's longest-serving and most successful coach in history. That was quite the legacy for the former Subiaco and Peel Thunder hard man to create with West Perth and while he was ready to walk away from the Falcons, he was far from done with coaching in the WAFL. So he put his hand up to coach at East Fremantle, was subsequently appointed and now ever since the hard work has been on-going to try to help the Sharks rise up the WAFL ladder in 2019 and improve on the two wins they recorded in 2018. What that immediately meant for Barnard when he was appointed coach was that he had to find a whole batch of players to either recruit or welcome back to East Perth to ensure they could not only fill the required numbers in 2019, but to be a competitive outfit. While it may remain a work in progress for East Perth to become a true power again as they replenish their player stocks, Barnard has always been a winner and has no reason not to still be aiming to be successful with East Perth. Barnard has plenty of winning history with the Royals as a triple premiership captain from the start of this century so while he knows there's plenty of work to do, he wants East Perth to set their sights on winning immediately but only if they get the culture right. While there are losses especially in terms of the Fremantle AFL-listed players they had good service from in 2018, there'll be another group of Dockers that contribute for Peel in 2019 and Shepherd likes the way his group is shaping up. Now with Round 1 at home to West Perth approaching, Shepherd can reflect on the potentially missed opportunity of last year but of more importance, look forward with confidence of what 2019 should hold for his team. BRANT Colledge is coming off the best and most consistent season of his career in 2018 and now with his body remaining sound entering 2019, he desperately wants to help end the finals drought of Perth. It is likely only a constant run of unlucky injuries that led to Colledge's time on West Coast's list coming to an end following the 2016 season having played just three AFL games. He continued to struggle physically back in the WAFL full-time with his original club Perth too but that all changed in 2018 and with a sound body, his form went through the roof. Largely because his body hadn’t allowed him to play a lot of time in the midfield, Colledge found himself pigeon-holed as a half-forward for several years and that's where he started his 2018 season with the Demons. But with his fitness improving and both his body and form allowing, he spent more and more time in the midfield and alongside Clint Jones, Corey Yeo and Corey Byrne, that became one of the strengths for the Demons who ended up just a game and percentage out of the top five. Colledge ended up winning the fairest and best award for Perth in a much-improved season that gives plenty of hope that 2019 can now be the year that their finals drought ends. THERE is a new coach at Subiaco and some premiership stars have moved on, but as Beau Wardman steps into the hot seat he and everyone at the Lions are not ready to expect any sort of drop off from the WAFL benchmark. Subiaco had a remarkably dominant 2018 season with the Lions going through the league season undefeated on the way to a premiership on the back of the heartbreak of minor premiership seasons the two years before but losing the Grand Finals to Peel Thunder. Not only that, but Subiaco won premierships in the reserves and colts to make their own piece of WAFL history in remarkable fashion. Wardman coached that Subiaco colts team to the premiership and now he steps up to be league coach in 2019 following the departure of Jarrad Schofield who has taken up an assistant coaching role in the AFL with Port Adelaide. SWAN Districts coach Adam Pickering learned plenty from his first season in charge in 2018 and is confident the black-and-whites can rise up the ladder in 2019 with the remaining core group and some exciting young players. While Swan Districts have lost some more experience over summer including Todd Banfield, Kirk Ugle, Jarrad Blight and Matthew Rogers from a team that won just six games in 2018, with a question mark over Rhys Palmer's future, Pickering is optimistic over their prospects. Aside from the arrival of two-club fairest and best winner George Hampson and former Fremantle AFL player Josh Simpson along with the return from Carlton of Jesse Glass-McCasker, it's been much about sticking with the group of senior players and those emerging for Swan Districts. With a core group of experienced still led by Tony Notte, Alex Howard, Matt Riggio, Steven Payne, Corey Gault, Nathan Blakely and David Ellard, it's still a good mix of senior players to show the way at Bassendean. 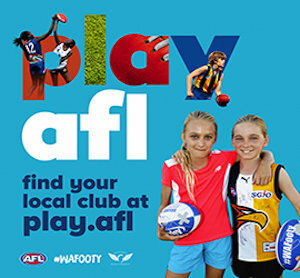 There are then the likes of Jesse Turner, Warrick Wilson, Brayden Hackett, Will Reidy, Mitch Mackenzie, Jack O'Sullivan, Patrick Italiano, Graydon Wilson, Tristen Raynor, Mitchell Bain and Brad Fullgrabe who all will be among those receiving the chances to take their games up another level. THE West Coast Eagles aren’t entering the WAFL just to make up the numbers and to have their players preparing for the AFL with coach Luke Webster making no secret that winning is also a major focus. 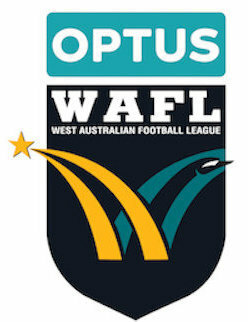 For the first time, the WAFL will be a 10-team competition in 2019 with the addition of the West Coast Eagles team with their partnership with East Perth coming to an end following the 2018 season. That means that the Royals return to being a standalone club and the Eagles will field their own side for the first ever time. The flow on effects of that will be no need for a team to have a bye each week while it's a genuine home-away competition with each team playing one another twice, both home and away. It will be a little different for West Coast, however, with the Eagles to play all their WAFL matches at the home venue of their opponents. That all gets underway in Round 1 when West Coast takes on Perth at Lathlain's Mineral Resources Park. It remains a great unknown just how the Eagles team will shape up with the group made up of 17 WAFL-listed players who will be topped by the West Coast-listed players not selected for an AFL game any given week. But at the same time, Valentine has served an impressive apprenticeship at West Perth, Swan Districts and Claremont in the WAFL on top of plenty of other football-related roles at different levels. West Perth is coming off a Grand Final appearance in 2018 as Valentine takes over and while there has been some key losses led by Chris Keunen, Jay van Berlo, Luke Meadows and Kody Manning.